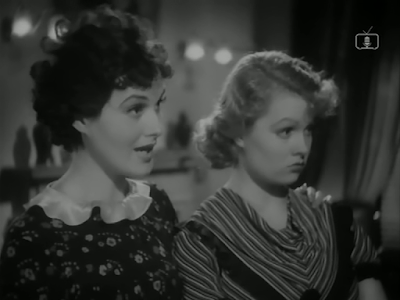 The beautiful and talented British actress Sally Gray started acting in motion pictures in 1935. She appeared in several projects that year and one of these was the excellent crime film Checkmate. 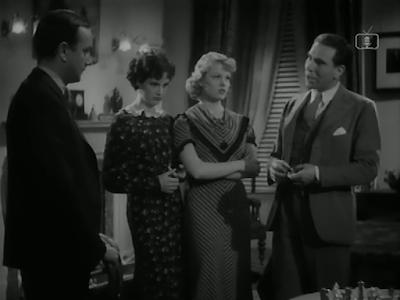 The movie is about a devious gang of jewel thieves who have been operating in a London neighborhood. The police know of their existence but have been unable to stop them, so a clever cop is sent undercover to bust the bad guys. To do this, he must pose as a lodger and make nice with a family in order to get closer to the secretive crooks. Checkmate boasts a particularly good cast. Well known UK actors Maurice Evans, Felix Aylmer and Donald Wolfit play the main roles while actresses Evelyn Foster and Sally Gray portray sisters who are intrinsically involved in the case. 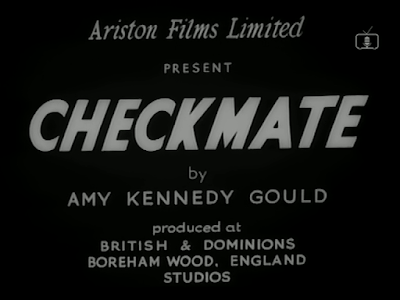 Everybody works together to help make this a fine piece of 1930s cinema (because it's only an hour long and has a modest budget, Checkmate is also known as a 'quota quickie'). Sally Gray is decidedly lovely in Checkmate and she is easily able to stand-out in the small but distinguished cast. Even at this early stage in her career, Gray has her own unique acting style and this, combined with her distinctive golden blond locks and enchanting looks, helped to propel her to great success in the following years.